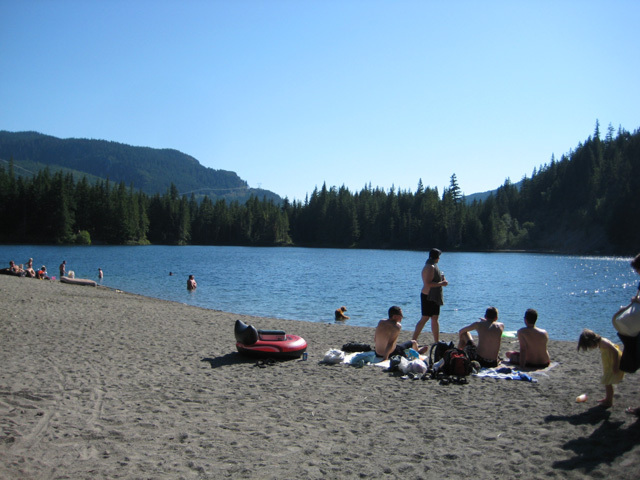 During the last weekend especially with this warm weather came an opportunity to try and find a new swimming hole called Lake Lucille. 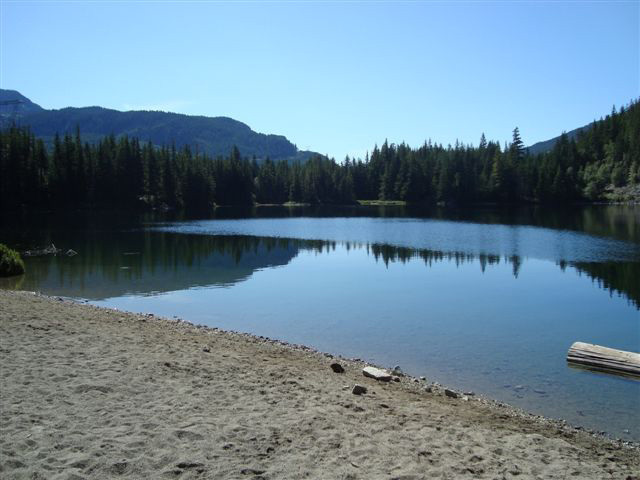 This local secret for the nearby people of Squamish and Whistler is located off the Sea to Sky Highway 99 approximately 15 km (9.5 miles) north of the Brohm Lake parking lot. To get here usually takes around 45 minutes from Horseshoe Bay but this time it took about 75 minutes because of the running of the RBC GranFondo. The 2nd annual bicycle event requied traffic cones covering the whole route plus vehicle speed restrictions reduced on Hwy 99. 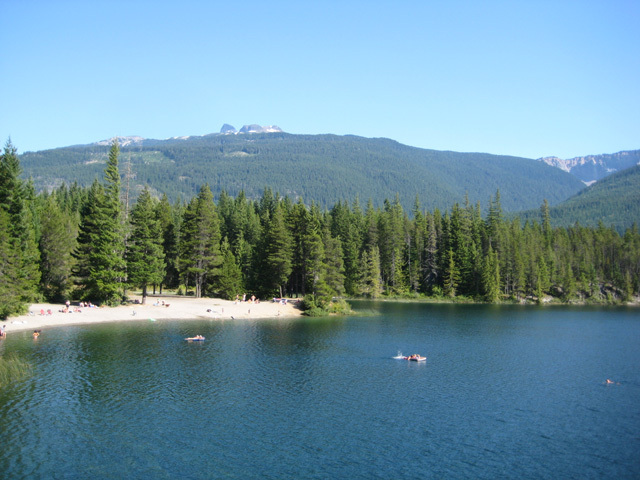 After a short stop for a pastrami sandwich at Chef Big D’s in Squamish we headed for the parking lot for Lake Lucille which is located at the beginning of Chance Creek FSR. Lake Lucille as it turns out is not really a hidden secret after all with around 15 or so vehicles found in the parking lot situated next to the Cheakamus River. The walk in from a closed gate near the parking lot was a little confusing at the beginning as it had two trails leading in different directions. 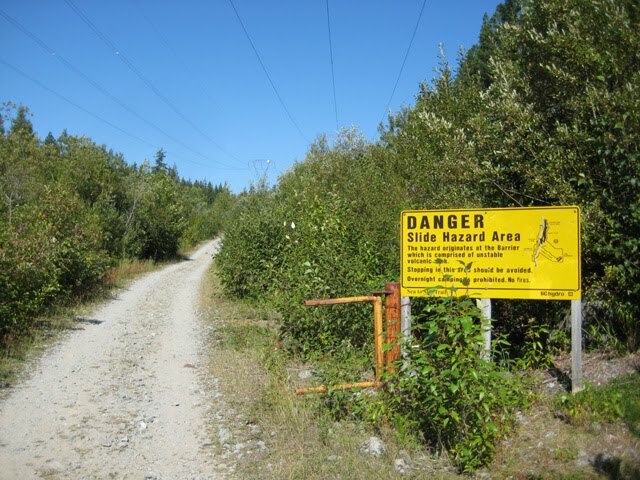 One direction - the Sea to Sky Trail goes north travelling adjacent to the CN Railway tracks. The correct route, to the left, follows the BC Hydro transmission lines eventually coming to a cross trail with Lake Lucille being on the south side. There are no signs or proper directions to Lake Lucille plus also evidence of bear scant on the trail and there could be possibility of cougar encounter so caution must be taken when hiking to the beach. The walk in at an average pace took approximately 15 minutes. Once at the swimming area located on the north side of Lake Lucille we found a very nice small sandy beach. The water depth dropped off quite deeply from the shore and was quite clear and very refreshing. There was a small island that a number of people were swimming to and the beach area was pleasant with the sun lasting late into the afternoon. There are no beach facilities or lifeguards at Lake Lucille so swimming is at your own risk. Also at one time there was a small resort village situated near Lake Lucille called Garibaldi. The community had to be relocated in the early 1980’s because of a possible failure of a lava formation called the Barrier. 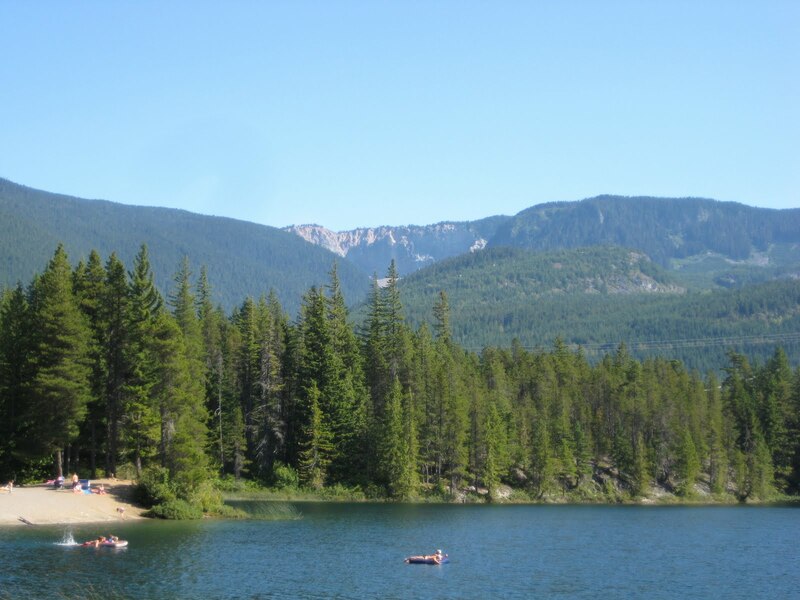 The Barrier, which acts as a dam holding back the waters of nearby Garibaldi Lake, was deemed geologically unstable and had the potential for a slide. Therefore the land around Lake Lucille is part of the Barrier Civil Defense Zone and must be entered at your own risk with no camping allowed. My wife and I just tried to find Lucille Lake unsuccessfully because we took the right hand trail (which says it is for non-motorized traffic). 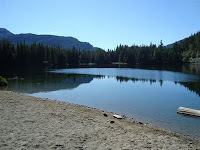 We ended up on 25 minute hike to Shadow Lake instead, which has no beach, and would be a difficult swimming spot. Next time we will try the left trail.